My difficult experiences with Highways & Byways – my recent game which ended in a failed Kickstarter campaign – have inspired me to add the Failure Recovery series to Start to Finish. This is part three of four. Today I want to tackle a gigantic question: what do you do after you fail? Nobody likes to think about the possibility of failure. It makes us instinctively cringe. Many people even suggest that you don’t create backup plans because it’s “planning for failure.” Today, we’re going to stare failure right in its eyes and talk about how you can handle it if it happens to you. When you have a significant failure like I did with Highways & Byways, what you decide to do next can seriously impact your long-term business prospects. Reputation matters and you need to maintain yours. Failure can negatively impact your reputation, but there are ways you can manage failure to minimize its impact, or perhaps even make you more popular. 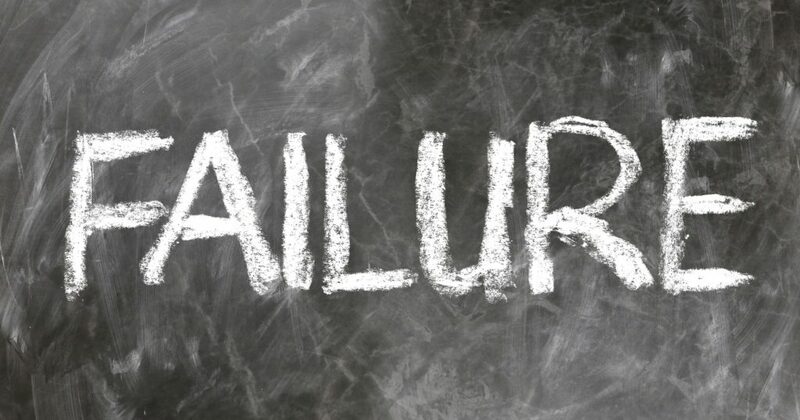 My intention with this article is to help you conquer your fear of failure. I can tell you from experience – recent experience – that it’s not the end of the world. It can be a tremendous opportunity for growth. When you know how to fix a failure if it happens, you will be at least partially freed from the burdens anxiety places upon your mind. Your creative and cognitive faculties will be unhindered by your fearful feelings. You are then free to be your best self. We’re going to talk about each one in depth. If you ever find yourself needing to use this guide to salvage your own reputation after a failure, stop here and think for a moment about how serious your failure is. Is it a ten-alarm fire or a couple of sparks? The first thing you should do whenever you experience a failure is assess how bad it is. There is a big difference between unintentionally offending someone on Twitter and a failed product launch following a year of effort. If you find yourself in the former category, experiencing a minor failure, you have an attractive option: do nothing. I’m serious. Sometimes calling yourself out publicly on small mistakes does more harm than good. You have to be nice to yourself if you expect anyone else to be. Calling yourself out on small mistakes can make you seem bumbling and uncharismatic when you really aren’t. Small mistakes are expected and everyone makes them. There is something to be said for stumbling and making it part of the dance. There is one limitation of this option, and it’s a big one: ignoring large mistakes can make you look callous, rude, or naive. Use your best judgment and understand that your judgment will improve over time with practice. If your mistake is too big to ignore but still not too big, you have another option. You can minimize the appearance of your mistake or explain it. That entails defending your actions with a simple, straightforward action without apologizing. Personally, I don’t recommend this in most cases for individuals or small companies. A simple apology goes a long way and failure to provide one can appear fraudulent or cold if the mistake is big enough. I’m listing this as an option, but I’m not saying it’s a good option. For big mistakes like a failed product launch or mistakes that result in someone being seriously inconvenienced like a missed delivery deadline, a straightforward apology is often a good way to go. Saying “I’m sorry” puts you in a vulnerable position that shows people that you truly are serious about making things right. This can be accompanied with or without an explanation. Ideally, you apologize for the specific thing that went wrong, explain if an explanation is wanted or needed, and then state how you plan to make things right. One good example of this in action is the BP Oil Spill in 2010: they issued ads apologizing for enormous impact of their enviornmental disaster. This is a good option for big mistakes. It won’t run anybody off and it might even make people like you more. Still, in the case of some highly public failures that seriously harm people, words may not be enough. That was the case with BP, who may have benefited more from initiating major enviornmental cleanup programs. There is one last option for dealing with failure. It’s an extension of Option 3 and it’s not for the faint of heart. You can apologize, explain, and completely accept your failure. Then you can commit to using your failure for others’ benefit. It was my intent to do this through the Highways & Byways failure write-up, although there are many other ways to do this. Being a good sport in failure and working to help others is a kind thing to do. Full stop. There is not just a moral incentive, but also sometimes an economic one too. According to the pratfall effect: “a perceived highly-competent individual would be, on average, more likable after committing a blunder, while the opposite would occur if a perceived average person makes a mistake.” You could actually gain fans through failure. There is a reason “failing up” is a phrase. This has three really big issues with it. This is the most emotionally difficult option to take since it requires publicly exposing your weaknesses. It can also make you look obsessed with your own failure, which is a major turn off. Lastly, for the “pratfall effect” to take place, you have to be “a perceived highly-competent individual.” Knowing whether or not you qualify is hard because our egos protect us from evidence to the contrary. Failure isn’t the end of the world. How you deal with failure publicly can be as important as how you deal with it privately. Failure is a chance to learn and grow, both as a person and as a public figure. Choose your option wisely. Another good and informative post, Brandon! I wonder just how much you perceive your reputation as being damaged by the Highways & Byways failure. Personally, I wouldn’t hesitate, for a second, to help fund your next project. Things happen in life, and while this particular failure directly impacts your own business, I hope it doesn’t deter you from creating something else. Thank you for your kind words and continued support! 1. Blog and server traffic/engagement went way up and stayed up. 2. It was easier than ever to pivot into a new game – Yesterday’s War. 3. I ended up getting a codesigner too.